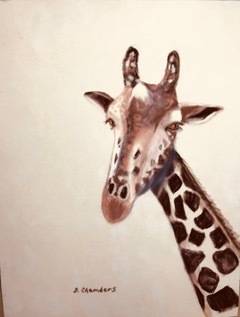 The Irving Art Association at Jaycee Park will host Donna Chambers, pastelist, for a one-day workshop for beginning and intermediate level pastel artists. The focus of this workshop will be on individual help and application after a short informational chat on the basics of Pastel Painting: papers, products and application. 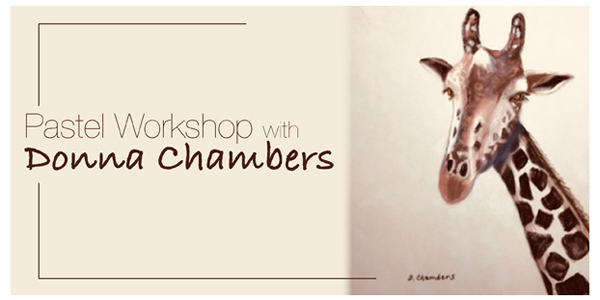 The workshop will cover pastel techniques for landscapes and animal portraits. Each artist should bring in a reference photo they would like to reproduce artistically. Donna will help artists design and crop their reference materials. Questions are encouraged. For more information, contact the instructor at donnachambers11@gmail.com. 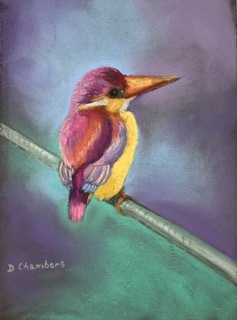 Donna is a member of the Pastel Society of the Southwest, in Dallas, Texas. 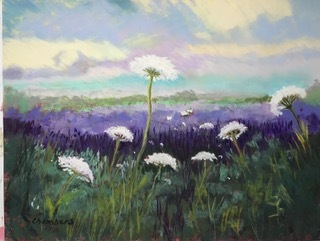 Her pastels have been in juried shows throughout Michigan, Indiana and Texas. Texas juried shows include the Richardson Civic Show 2017 and the Frisco “Arts in the Atrium” shows in 2016, 17, 18 and 19. The PSSW member show in Grapevine hung her paintings in 2016, 17 and 18. The Keller, TX show 2018, displayed mix media paintings of Acrylic Ink and Pastel and Pastel paintings. 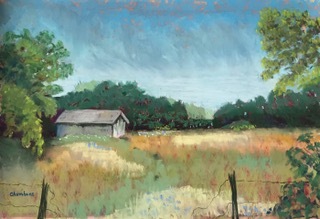 In addition, her pastels are currently shown at the Wylie Art Gallery, Wylie TX. and the Art Gallery at Filtered, a neighborhood coffee shop in McKinney, TX where she curates the art gallery. Most recently, three of her pastels were displayed in the “God’s Abounding Love” show at the ArtReach Gallery located in the Lovers Lane United Methodist Church, Dallas, TX. She has taught private and small group art lessons in pastel, oil and acrylic painting, and welcomes new students. Previous to her move to Texas, Donna was a practicing psychologist and hypnotherapist in St. Joseph, Michigan. She feels that art is the window to the inner life of people. She has utilized art to help children, teens and adults verbalize their emotions. Art is a non-complex way to access the emotional life, and a creative expression of deep, inner emotions. It brings satisfaction and healing to those who utilize the creativity within themselves. Whether one is an artist or an art lover, art quietly enhances our daily lives with color, perspective and joy. Reference photos: The best reference photo is one without a lot of detail. Bring one copy of the photo in color and one in black and white. Pastels: A small box of pastels, Muygos, Michaels, Hobby Lobby brand are fine for introducing pastels to your artistic portfolio. Once you know what textures you prefer, you can upgrade. 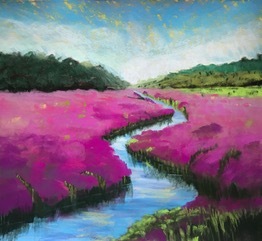 Pan Pastels: I do not recommend pan pastels as I have only used pan pastels for large areas such as the sky and water. If you have worked with them, bring them. Back board: Form core is a lightweight “board” to tape paper on. Best size 15″ x 20″ black or white (a standard 20″ x 30″ cut in half). Archival is best for long term storage. Tape: Masking tape. Sticky enough to hold paper on form core. Paper: I will have a small supply of pastel papers available in 9″ x 12″. If you have a favorite, please bring it with you. We will work on 9″ x 12″, 11″ x 14″ or 12″ x 16″ paper. Easel: Pastels are painted in an upright position, so the “dust” falls off the painting. Glycine paper: To cover your pastel when transporting or storing it before framing. I will have some with me. Paper towels and Wet wipes. Blenders: I find I do not use blenders. If you don’t want messy fingers, makeup foam blenders and wedges will do. Plastic gloves to cover your hands and keep the dust off. Newspaper: Pastelist always cover the work area table and floor with newspaper to collect the pastel dust (it can be gathered up and thrown away) when we work outside of our studio.